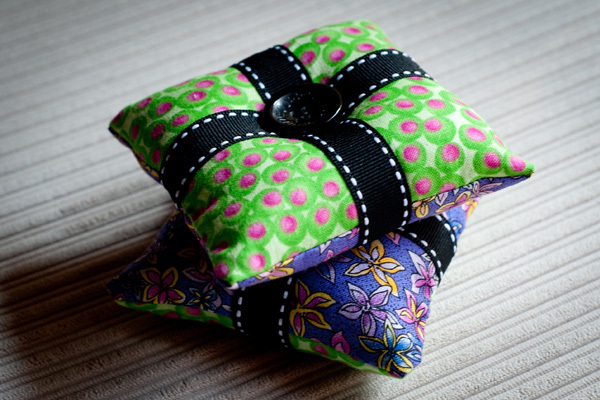 I wanted to make this pin cushion for a friend’s birthday present to go with her new sewing machine. I had just enough fabric of each of the green and purple scraps to make two, so why not! They came together in an hour or so. Each cushion needs two squares of fabric, a bit of stuffing, some ribbon and a couple of buttons (these ones were from my stash of spares that come with new clothes – Ben Sherman & Esprit). For anyone who’s interested, I loosely followed these instructions for a Bric-a-brac Pincushion. 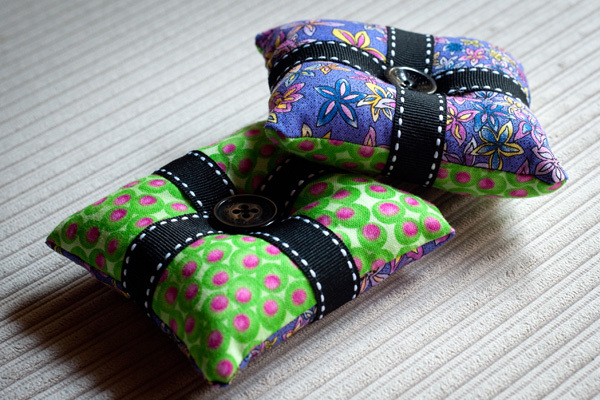 Next time I’m going to try this Classic Pincushion – love the fussy cutting of the green pattern.